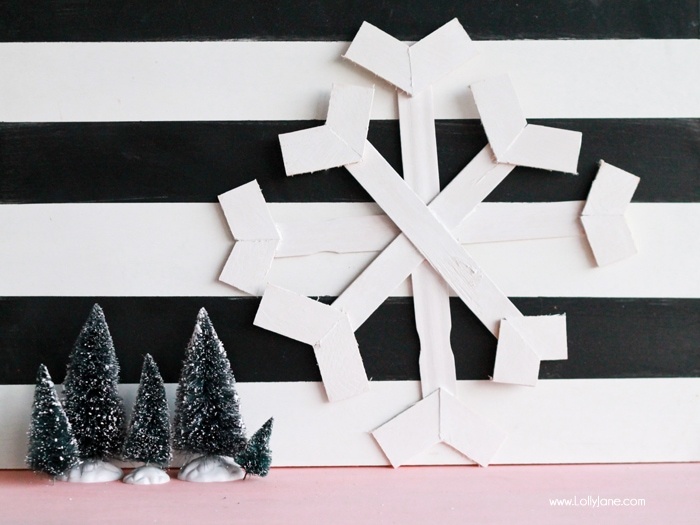 Well, Lolly Jane is wrapping up the last of its winter holiday decor as we prep for Valentine’s Day but we wanted to share an easy DIY, sure to make its debut on next years winter mantel. 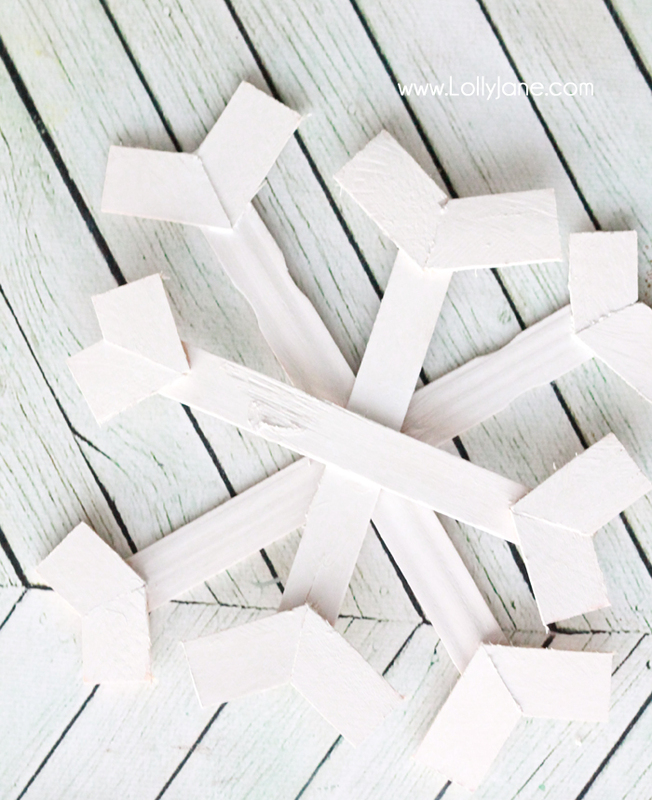 Check out our shabby chic snowflake made from paint sticks! SAFETY NOTE: These are small pieces and you will be working VERY close to the blade. 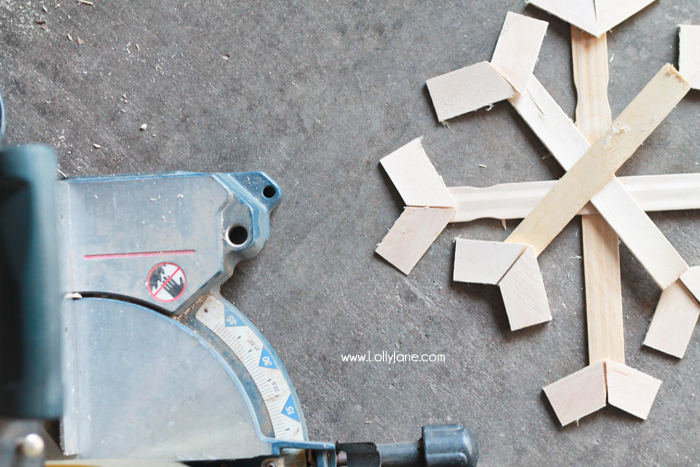 We have a lot of experience with our saw but if you are not skilled with a miter saw, I would advise to use a new paint stick (or the thicker side of shims) and make your angle cut on each side of the stick then cut 1.5″ roughly from there. Longer pieces are safer to work with. 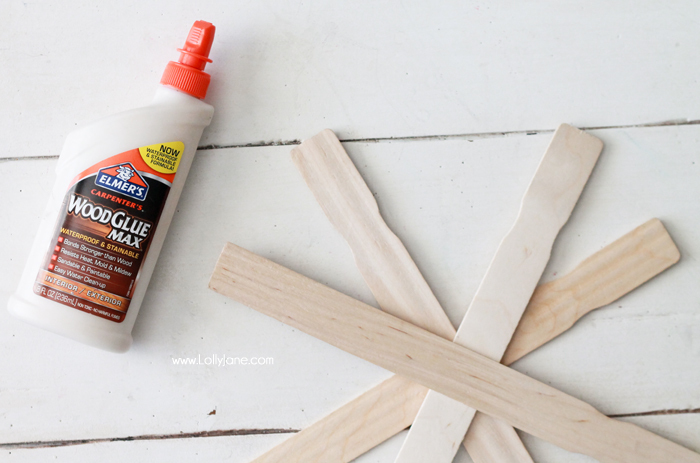 After making the cuts you can begin to glue! I broke my snowflake into 4 sections and first glued the top paint stick to its 4 small angled pieces and repeated gluing until each paint stick had 4 pieces, (2 per end.) 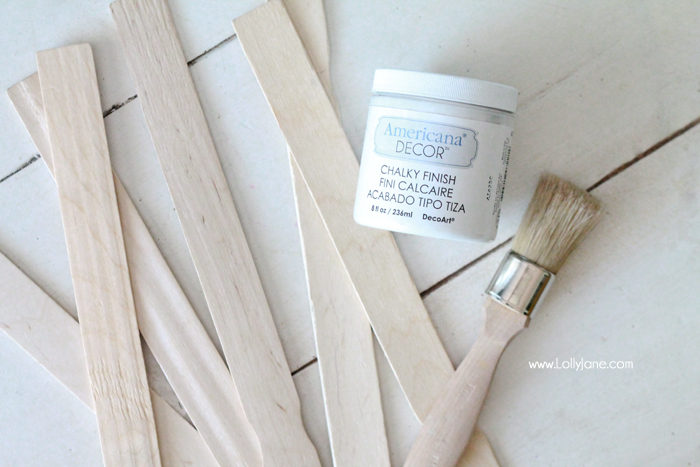 Once the glue dried, I simply glued each layer down and left the shorter paint sticks on top of the longer ones. 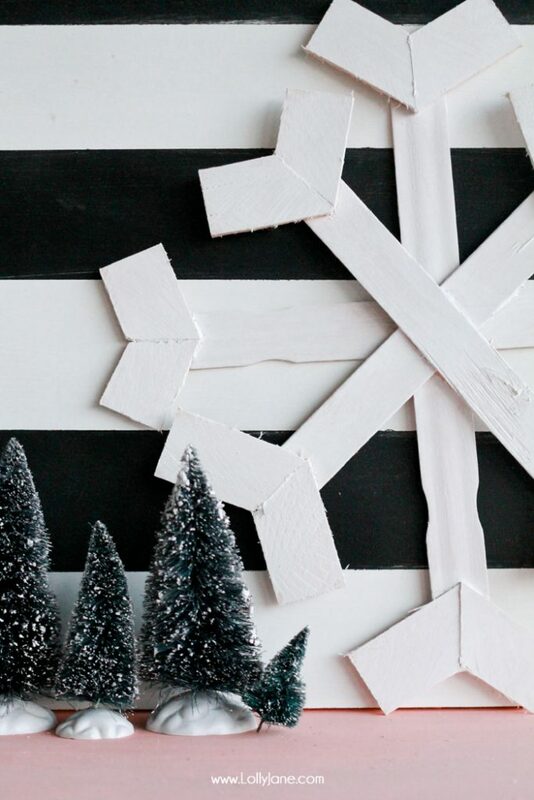 Once the glue is completely dry, give it a light coat of white paint. Just display + admire. Easy peasy and this one was FREE! 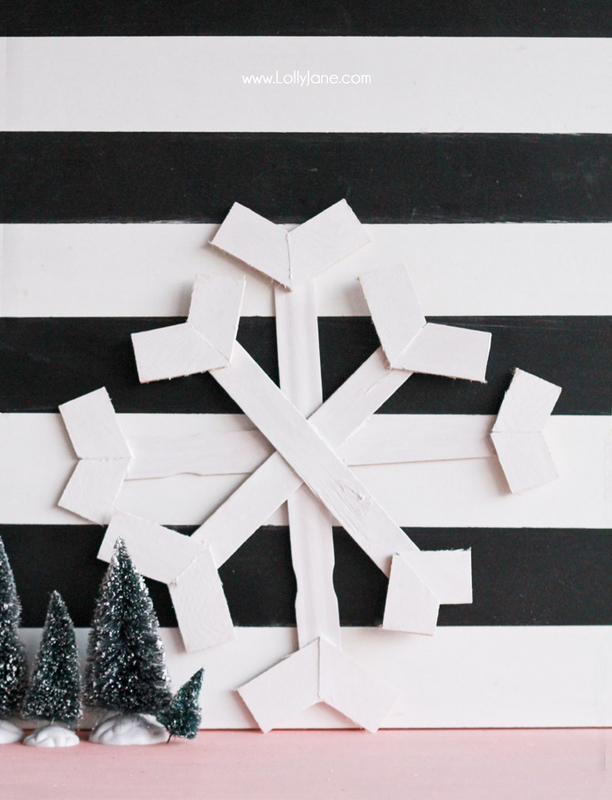 For more seasonal or holiday projects, stop by our blog!